Is it time to replace your old gutter system? Old gutters & eavestroughs are made out of steel, a material which can cause a number of problems to your home. Steel eavestroughs rust quickly, which can cause structural damage to your home. Steel nails, which are used to fasten eavestroughs and downpipes, are often cheaply made. The nails rust and disintegrate; this can cause your gutter system to loosen and collapse. Our professionals will replace your gutters in Vancouver, Surrey and Langley. Complete Gutters uses long life, zinc coated screws and aluminum hangers to fasten our gutter systems to your home. We offer high quality gutter replacement in Vancouver. Our eavestroughs and downpipes are manufactured using high quality aluminum, then coated with a protective paint and coating. Complete Gutters products are made to last, preventing water damage to your home and giving you peace of mind. We provide a wide range of services for gutters, such as installation, repair, re-sloping, cleaning and gutter replacement in Vancouver. No matter the material, brand, or size of your eavestroughs, our highly capable team can get the job done. Complete Gutters installs durable, modern gutters on your home. Our installation services are designed to match the quality of our product. Complete Gutters installation tech teams meet the highest industry standards, ensuring your eavestroughs stay in working condition for decades to come. Need Help with Gutter Replacement? Do you own a commercial dwelling or a small business in a standalone location? Are you the manager or executive member of a strata? If so, you’ll find yourself at one point or another looking for eavestrough cleaning, repair or replacement. At Complete Gutters in Surrey and Langley, we know your job requires prompt and thorough service at an affordable price. We’re committed to working with you in order to find the best solution for your gutters in Vancouver and the Lower Mainland. You may have been advised to replace your eavestroughs, for example, when a repair would be the prudent way to go. We know that you’ve got bottom-line costs to look after on many levels, and we want to be your partner in getting your gutters done right for the long haul. When it comes to new home construction, Complete Gutters is experienced and highly capable. 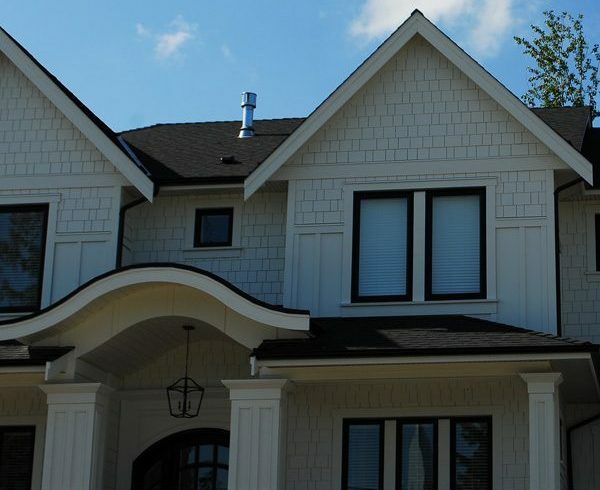 We’ve installed eavestroughs for home builders and contractors across Vancouver and the Lower Mainland, helping you create beautiful homes that are comfortable and solidly-built. We know the ins and outs of new home construction, especially the necessity of tight deadlines and flexibility. We’ll work closely with you on timelines and logistics, ensuring prompt delivery and eavestrough installation so that your customers will be satisfied every time.
" Paul is a very easy person to work with. The work was excellent and beyond expectations. As a small business, he's obviously very busy so while it took a few weeks to get scheduled, the gutter replacement was done in one day. Nice clean work and the house looks great! I had some serious drainage issues and I wish I have done this year's ago. I would definitely recommend Paul to family, friends and neighbours.